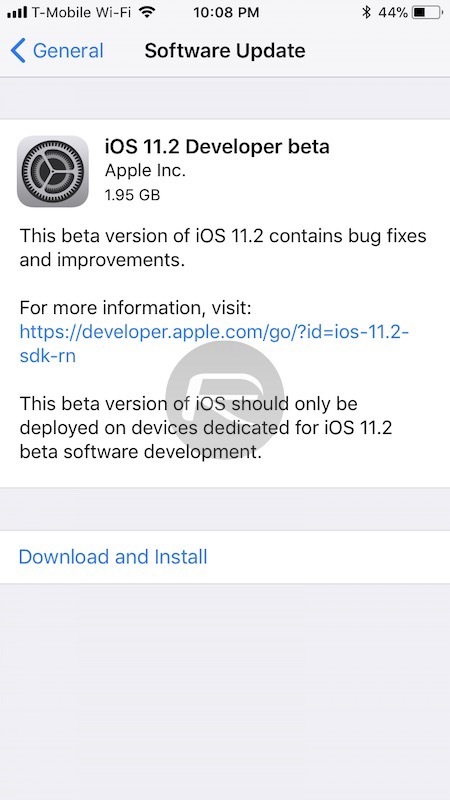 You can now download iOS 11.2 beta 1 IPSW links and over-the-air OTA update for your iPhone, iPad or iPod touch device. It is currently available for registered developers of Apple Developer Program with immediate effect. It’s been somewhat of a worldwide ride for iOS 11 since it was pushed out to the general public back in September. After being in a period of flux and development from its initial introduction back in June at this year’s Worldwide Developer Conference (WWDC), Apple has continuously been progressing the platform since that initial release. The initial iOS 11 launch has since been followed by public introductions of iOS 11.0.1, iOS 11.0.2, iOS 11.0.3, with iOS 11.1 still in beta but about to be released in final form to everyone, and now, we have iOS 11.2 available in its first beta format. That roadmap clearly shows that Apple is very serious about making the platform the best that it can possibly be. This release of iOS 11.2 beta 1 hasn’t been entirely unexpected. Brazilian developer Guilherme Rambo put himself on the line last week through Twitter when he predicted that Apple was positioning itself to make this release sometime this week. He posted a screenshot which was presumably taken from a hidden URL on Apple’s developer portal suggesting that the iOS 11.2 initial release would contain “bug fixes and improvements,” which is pretty much what we are used to Apple saying whenever it releases a pre-release version of iOS. It’s generally only through diving in and digging through any noticed changes do we get a decent insight of what improvements have been made. The likelihood is that this release contains a multitude of bug fixes, generic improvements and stability enhancements which should all help to take iOS 11 to the next level in terms of its development. Apple will have also likely patched a number of security issues which have been identified. It’s also likely that there will be a little bit more to this build given the fact that it’s released as iOS 11.2 rather than iOS 11.1.1. We just need to dive in and find out what those changes are. You can grab the OTA update from Settings > General > Software Update, or IPSW file directly from developer.apple.com. We will update you when this beta is made available to public testers of Apple Beta Software Program. Stay tuned. Update x1: watchOS 4.2 beta 1 for Apple Watch and tvOS 11.2 beta 1 for Apple TV are out as well. 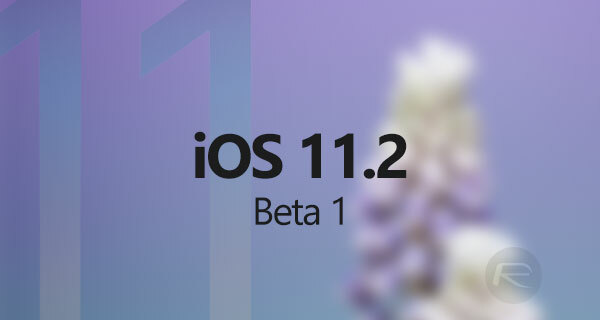 Update x2: If you can’t wait for Apple to release iOS 11.2 beta 1 to public testers, you can grab it now using our guide here: Download iOS 11.2 Beta 1 OTA Via Configuration Profile File Without Developer Account. Update x3: Here is Apple’s official changelog for iOS 11.2 beta 1: iOS 11.2 Beta 1 Changes, Release Notes And Changelog Details You Need To Know About. Anyone having trouble updating watchOS?